Bobby Brown has spoken out through his lawyer on his DUI arrest — and interestingly, he is very careful not to deny the charges. Read on to find out what was said. 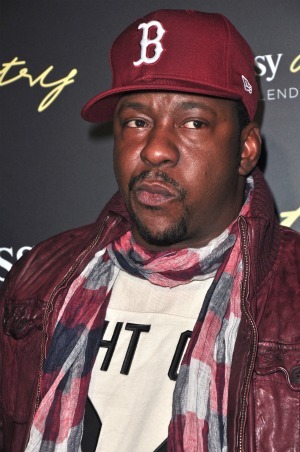 Bobby Brown was popped for a DUI on Monday afternoon in the Los Angeles area, and now the ex of the late Whitney Houston is speaking out on the incident through his lawyer. The carefully-worded statement dances around the DUI charges and focuses only on the fact that he was talking on his cell phone — illegal in the state of California without a hands-free setup — and not driving erratically. “Everyone is innocent until proven guilty and Mr. Brown was not driving erratically. He was speaking on his cell phone. Mr. Brown has not been convicted of anything associated with this incident,” said Brown’s attorney, Tiffany Feder. “Mr. Brown is taking this matter seriously and an investigation is under way. The legal process shall run its course,” she added. The arrest is far from the first time Brown has been in trouble with the law. In addition to a previous DUI arrest Brown has drug possession, resisting arrest, public urination and misdemeanor battery on his rap sheet.